One of the most ancient alternative cures has again risen to the forefront, this time in helping the brain. A new study says that acupuncture could help treat mild traumatic brain injury. Such news constitutes a special health breakthrough for many people who suffer these unfortunate traumas. In acupressure, one’s fingertips are used to stimulate particular points on a person’s body, points that also correspond to those used in acupuncture. The results of the study we’re looking at today indicate a link between the acupressure treatments and enhanced cognitive function in study subjects with mild traumatic brain injury. Patients on acupressure showed greater working memory as well. The acupressure used in the study is called “Jin Shin.” In the study, researchers targeted the 26 points on the human body, stretching from head to foot. These are found along “meridians” running through the body that are associated with the flow of Qi (energy). Each point is tied to the health of specific body organs, as well as the entire body and brain. (where the specific points are not used). It is believed to be one of the first good-quality studies in a peer-reviewed medical journal to show that acupressure could benefit mild traumatic brain injury. They used a battery of neuropsychological tests. One asked subjects to repeat strings of numbers after hearing them, both forward and backward, to see how many they remembered. This helped prove that acupressure led to greater recall. A second test measured working memory using colors. Its results showed that those who received real acupressure responded more quickly than those on sham acupressure. 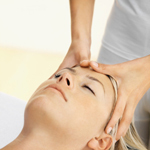 In 2010, another study found that Jin Shin acupressure led to greater relaxation and less stress. This is a very old alternative remedy that is intrinsic to Traditional Chinese Medicine. It is an offshoot of acupuncture, and follows the theory that helping put your flow of Qi back into balance could help you achieve optimal health.